Every dog can use a little between-meals nutritional boost! That’s why we created these uniquely tasty, chewy treats. Each protein-rich nugget contains a special blend of all-natural ingredients like organic apple cider vinegar and ginger. These bite-sized treats are perfect for treating or training. A tasty nutritious reward for your dog. Break into small pieces for your small breed dog. 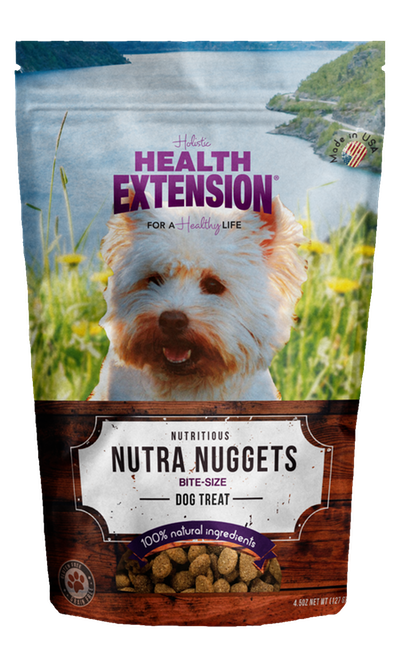 Health Extension Nutra Nuggets is intended for intermittent or supplemental feeding only.